State Sen. Todd Gardenhire speaks to the Hamilton County Pachyderm Club. POLL: Are you registered to vote? Hamilton and Bradley counties are fortunate to have a principled, dedicated state senator in Todd Gardenhire, and we hope they'll keep him. While the first term District 10 Republican legislator is well known for his committee vote to defeat Gov. Bill Haslam's Insure Tennessee proposal in 2015 (a vote we opposed but understood why he made it), he should be appreciated for the work he does on all of the issues he tackles. With an eye on local students, Gardenhire has worked tirelessly on education issues as a member of the Senate Education Committee. Understanding the need to educate children of families here illegally, he sponsored a bill that became law in 2015 allowing children born in the United States of illegal parents to be given in-state tuition at public colleges and universities. A companion bill offering in-state tuition to children born out of the U.S. to illegals now in the country narrowly missed passing. He says he'll offer it again this year. He's also interested in seeking fairness on a state law providing college tuition discounts and in aligning foreign language requirements in public colleges and universities with prospective teachers, who are more likely than most people to encounter students whose first language is not English. 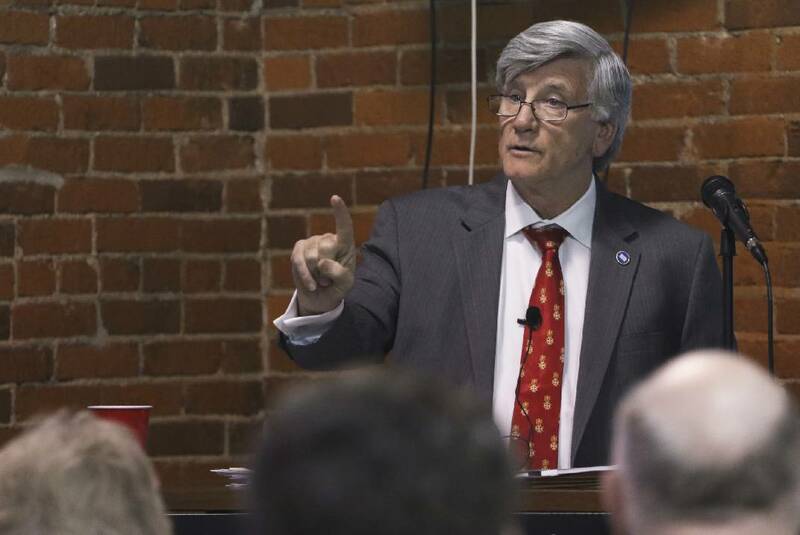 Another Gardenhire bill defunded the University of Tennessee at Knoxville's Office for Diversity and Inclusion for one year due to its questionable activities. That money funded scholarships for four minority engineering scholarships. "People know where I stand," Gardenhire said. "I've been involved with this community and Bradley County for many years. I believe I can make a difference. I've had experiences in life very few people have on how to solve problems." Gardenhire is opposed by Highland Park wife, mother and former University of Tennessee at Chattanooga lecturer Khristy Wilkinson, a Michigan native and self-described "Bernie-crat." She believes the state should invest more in public education, provide affordable health care for every Tennessean, raise the minimum wage and reform its criminal justice system. Unfortunately, a Friends of Khristy Wilkinson group, which lists her email address and phone number, issued a news release Tuesday that attempts to drag the race deeply in the mud. Titled "Todd Gardenhire Condones Sexual Assault," it attempts to implicate the state senator because he has not issued a statement condemning GOP presidential candidate Donald Trump for crude remarks he made 11 years ago. This is the worst kind of demagogic slur and one for which she ought to be ashamed. It is not up to any Republican to condemn or defend Trump, especially one who has not been out front in his support for the nominee. She then further attempts to make an issue of an Order of Protection given to Gardenhire — and later dismissed by his then-wife — in a previous marriage nearly 20 years ago. This type of attack has no business in this campaign and only speaks of the desperation of the challenger. We're delighted to endorse Gardenhire for a second term. A sample of what the ballot will look like in Hamilton County for the November 8 general election and a list of where you can vote. For a list of early voting locations click here. For more voting information click here.